Siliguri is hemmed in by military bases on all sides. The Siliguri Corridor is heavily patrolled by the Indian Army, the Assam Rifles, the Border Security Force and the West Bengal Police. Two air force bases, of the Eastern Air Command, are located nearby. The second largest military camp in Asia, Binnaguri, is also located not far from Siliguri. In 2013 the army formally sought land from the West Bengal government to set up two military and air force stations in the north Bengal. Three months later, on 21 February, 2014, the foundation stone for the Berhampore Military Station (BMS) was laid by President Pranab Mukherjee. At the ceremony, Army chief Gen Bikram Singh informed the media that the BMS will be home to an Air Defence (AD) regiment where missiles will be kept ready to protect the airspace over the Siliguri corridor. The rapid development of the local economy cannot be understood without a reference to the contribution made by this military presence. However, there is more to it than this. Described as the gateway to Bhutan, Nepal and Bangladesh, Siliguri fulfils a very unique geographical niche. Nepal lies 10km to the west of the city, Bhutan 40km to the northeast, China approximately180km to the north and Bangladesh is directly accessible via the border crossing at Phulbari. The strategic location of the city makes it a base for the receipt of essential supplies for the above regions. The so-called four ‘T’s – tea, timber, tourism and transport – are the city’s main businesses. The latest development in Siliguri is the construction of malls such as City Centre, Cosmos and Orbit. In 2009 the first cinema multiplexes arrived. Growing economic transactions have also led to a boom in the banking sector. There are more banks and bars along the two axial roads of Siliguri – Sevoke and Hill Cart – than can be found along any road in India. As a gesture of international cooperation, Siliguri’s road network is being used by the governments of Nepal and Bangladesh to facilitate transportation of essential commodities, such as food grains. The Silk Route of India, the trade route between India and Tibet (China), is accessible only after crossing Siliguri via the Nathula and Jelepla passes. In Siliguri there are also business routes to Bhutan. Siliguri’s population has exploded. The population density of the urban area is 11,000 persons/sq. km. According to the 2011 provisional census the number of residents in the Siliguri metropolitan area at this time was 701,489, although another non-governmental estimate made as early as in 2008 put the figure at 1,559,275. However, calculations of ‘residents’ in Siliguri create the impression of sedentary urbanism when this is not the case. A 1990 study indicates that the city has experienced waves of migration over a number of decades. Of these migrants, 60 per cent came from East Pakistan/Bangladesh, 17 per cent from Bihar and 8 per cent are Marwaris who control wholesale trade. The rest, 15 per cent, came from South Bengal and Assam. Masses of repatriated Burmese have also made Siliguri their home. Siliguri is a city of migrants and thus does not lend itself easily to accurate demographic calculations. Some commentators have gone further in calling Siliguri a ‘town in transit’ with the implication that it ‘moves with its moving population and loses fast its potential of becoming anyone’s home conventionally understood as the relatively stable abode where the family lives like what Hegel calls “an individual”’. A sizeable chunk of the migrants in Siliguri live in slums. Municipal authorities are desperate to suppress a dystopian image of the city, trying to overlay it with visionary documents outlining dream-like development projects. One document states, ‘In order to develop the city in a planned manner and to make arrangement for the exploding population of the city … new townships of Uttarayon, the Kanchanjunga Integrated Park, Vastu Vihar and Shushruta Nagar-Kawakhali township have been proposed to be built around the fringes of Siliguri’. Protected, fortified housing complexes are proposed to be the living abodes of the nouveau riche – those who can afford to own them without having to depend on municipal corporations for water supply and sanitation, the state electricity board for a supply of electricity, or government agencies for essential services. These residents will supposedly have the money to buy these services, which will be priced beyond the reach of the urban poor. Apartments for the internationally mobile middle class and urban new-rich of Siliguri will also serve as places of conduit where trafficked women, themselves in transit, will be called to entertain their affluent customers, also in transit, and money will quickly change hands. This mélange of people in flux – wholesalers, retailers, military and security personnel, tea planters and labourers, trafficked bodies and their consumers, gun-runners, political fugitives, asylum-seekers, railwaymen, construction workers and stateless groups – cannot be understood without the governing sign of neoliberalization. In 2002, Indian, Nepalese, Bangladeshi and Bhutan authorities considered a proposal to create a free trade zone in the area that would enable all four countries to connect directly with each other without restrictions. Two observations can be drawn from this. First, it is not strange that an area that is the hub of heavy military securitization, and which is populated by people who are obsessed with territorial integrity, is also the proposed site of international free trade. This paradoxical coupling of the military and neoliberalism has been a marker of the northeast in general. This situation makes it possible to controversially state that Siliguri, and by extension north Bengal, is more integrally a part of the northeast than it is a part of the rest of West Bengal. Second, the creation of a free zone, in terms of commodity trade, is not waiting for an international diktat. It has, as has been suggested above, already come into being. A walk through the bazaars of Siliguri testifies to this. Businesses are booming at the Seth Srilal Market, the Sevoke Road and Hill Cart Road bazaars and the airport market at Bagdogra. These are prominent places where a customer can buy daily goods, and they are extremely popular among people from nearby areas as well as tourists from all over the world. The markets are almost exclusively stocked with commodities smuggled in from neighbouring countries. The city has a very high concentration of retail trade – in commodities obtained by both licit and illicit means – and the volume of trade is unmatched by any other city in West Bengal. Hong Kong market, Siliguri, 2016. Photograph by Orit Halpern. Wholesale trade in Siliguri is also vibrant and, not uncommonly for India, the retailer and the wholesaler are often the same person operating from the same shop-front. Twenty per cent of those involved in wholesale trade are returnees from East Pakistan/Bangladesh and as many as 70 per cent of them are Hindi-speaking people coming predominantly from north India. Kinship bonds are strong among the wholesalers, which makes it practically impossible for newcomers to enter into the business. Wholesalers also possess a large quantity of liquid cash – much of which is derived as profit from their trade in Siliguri – which they do not spend or invest in the city. This situation creates an ‘enclave economy’ that operates under a neoliberal mandate. Siliguri also hosts the Bidhan market, originally created for partition refugees. 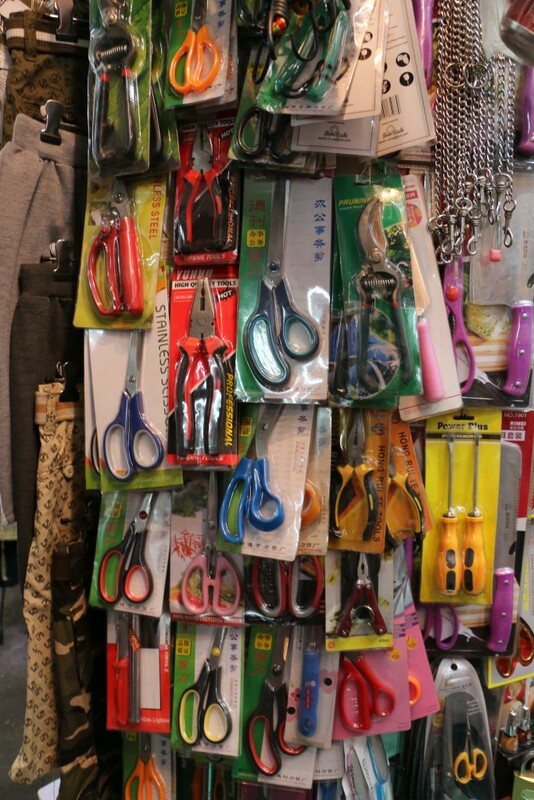 This market is now a chief hub for buying low cost Chinese goods. To the local people, as well as to tourists, this is the famous Hong Kong market where you can buy shoes and garments, watches and sunglasses, cosmetics and computers, aphrodisiacs and underwear, all imported from China at throw-away prices. This is also a space, like so many others in the city, which hinders the sanitized image of Siliguri as the hub of neoliberal development. It exposes a seamier town in the throes of economic expansion. Siliguri is a node for the movement of smuggled goods and trafficked human beings. An intelligence report, quoted in the Draft Development Plan 2008–09 to 2012–13 of the Siliguri Municipal Corporation, states: ‘In recent times, the area has become the focus of illegal crossings between Bangladeshi rebels and Nepali Maoist insurgents, both in search of refuge from their country. A flourishing narcotics and weapons traffic also takes place in this region’. These are intractable elements of crime and commerce that co-constitute Siliguri under the sign of neoliberal capitalism, injecting an unmistakeable flavour into the cocktail of this city-in-making. One evening as I stood in the bustle of the Hong Kong market, the sense struck me that the bazaar economy in Siliguri has not been subdued or subsumed by the formal capital market. Historians have been arguing for the coevality of the two in South Asia for some time now. But that evening a general sense seemed to carry me beyond the superposition of the bazaar and neoliberal consumption. Here, beyond the mere co-existence of two allegedly incompatible modes of consumption, what seemed to be at work was a gerrymandering of collective and individual urban subjectivities. It seemed that the rational actor-citizen had been displaced by the migrant as the organizing human principle of political economy. Further, to borrow jargon from cinema studies, the cityscape presented itself as retro-futuristic, as depicting a future produced in an earlier era. There is a need to rethink the geo-imagination of north Bengal at a time when its ideational remit is being expanded by statist defence neuroses and the everyday practices of mobile peoples. This re-imagined north Bengal is part of the northeast, with its border economy and its ‘travelling actors’. Through an entanglement of control, crime, communication and capital, Siliguri shows that a border economy does not remain confined to its border or borderlands but seeps into the so-called mainland to bring about powerful transformations in economies and cities. Going further, it may be said that the metro-polarities of Siliguri present what can be called a ‘futuristic archetype’ of a border-city. In this sense, Siliguri is an untimely metropolis. Deleuze’s words in Cinema II can easily be applied to Siliguri – ‘there is no present which is not haunted by a past and a future, by a past which is not reducible to a former present, by a future which does not consist of a present to come’.